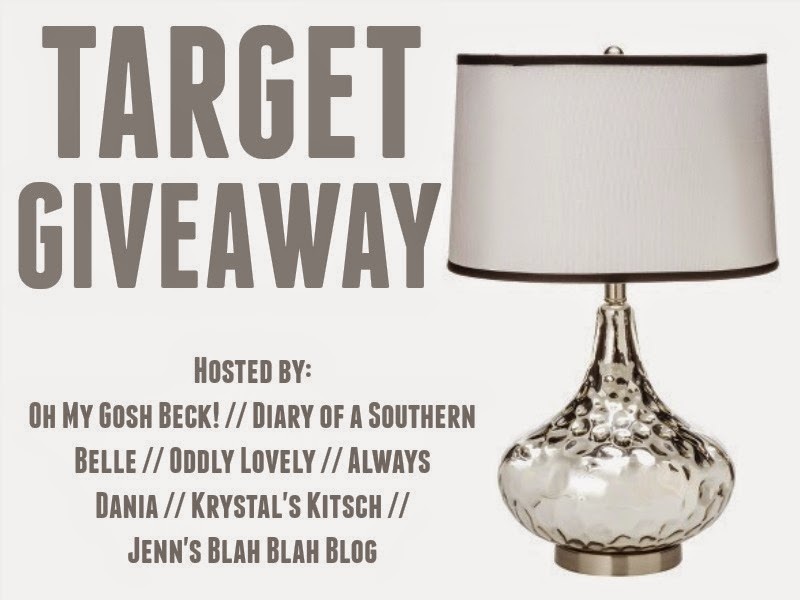 I’ve teamed up with some of my blogger friends to bring you a giveaway with an amazing prize! We are giving away a $200 Target gift card to one lucky winner… and it just might be you. You can enter daily over the next two weeks and earn bonus entries by sharing the giveaway with your friends on social media. Good luck! Rules: Use the Rafflecopter form to enter daily. Giveaway ends 12/2 and is open worldwide. A new laptop. Oh and a body pillow! Target wishlist - cute stationary and a new blender! Please email me if I win: betsyhuler(at)yahoo(dot)com. Oh the Christmas gift possibilities with this gift card!!! New winter boots for me that are comfortable and stylish. My target wishlist is likely some books and dvds or blurays. And some dog toys! Clothes and a new camera. Awesome giveaway! I am wanting some new furniture from Target! leopard print booties are on my target wish list! I've got a new bed linens on my Target wish list. i want to win this giftcard! A new printer is on my Target wishlist. The link for Krsytal's Kitsch on the Pinterest follows is missing a "b" at the end so it doesn't work, just a heads up. I would love a desk for a printer and laptop. a pair of leopard booties is another thing on my target wish list! On my Target wishlist is a laptop desk for my laptop and an office chair.